Beraja Medical Institute (Coral Gables) - Book Appointment Online! 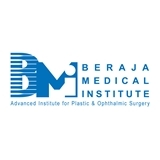 Welcome to Beraja Medical Institute! South Florida’s leader in provider of comprehensive vision care for you and the entire family. Our staff of professionals is dedicated to your eyecare. For close to 30 years we have been providing excellent care to all the patients from our community and abroad. Conveniently located in Coral Gables, FL your vision is our top priority. we offer routine eye exams for adults and children, as well as full service optical shops and contact lens departments. We also offer state-of-the art cataract surgery, medical and surgical glaucoma care, and LASIK and refractive surgery to correct distance and near vision, astigmatism, and corneal disease. When you come, you will find genuine interest from all our doctors and staff in helping you see and look your best. We look forward to seeing you soon! Pt is satisfied with 10. The doctor and staff were nice and welcoming. The wait was a bit long which seemed to be due to doctors running behind on procedures done downstatirs. The overall experience was good.